South Residence is Turning 50 in 2018-2019! 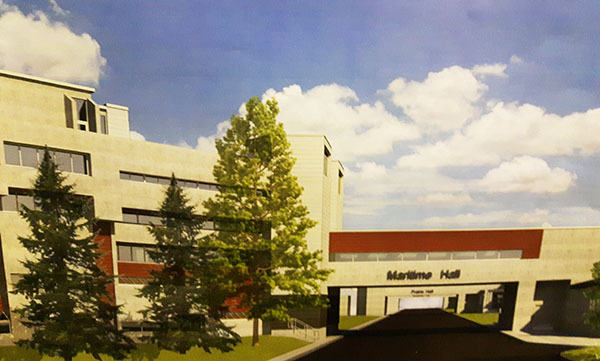 Our largest residence community is also getting a summer face lift, with new cladding that will add refreshed colour to portions of its unique architecture. Here is a glimpse of what you can expect to see in the Fall of 2018. 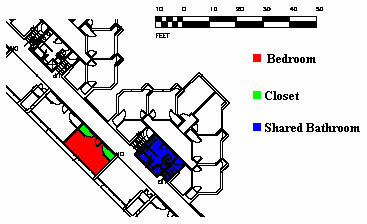 This floor plan applies to South rooms ending with digits 1, 2, 4, or 5. Includes modular furniture which can be moved around the room to your liking. Spacious closet and lots of shelving. Small balcony - perfect for plants. 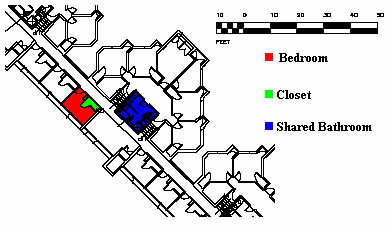 This floor plan applies to South rooms ending with the digit 3 on levels 1 - 4. Shared balcony between both rooms. Includes modular furniture which can me moved around the room to your liking. 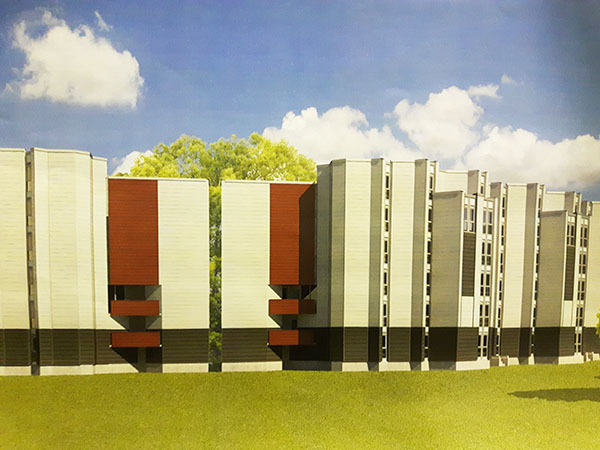 One large set of closets for both residents. The bathroom is around the corner and down the stairs from "Corridor" singles. Spacious closet and wall shelving. Close to lounge- great for studying, cooking and socializing. 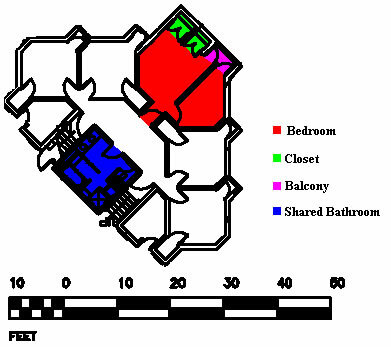 This floor plan applies to South rooms ending with digits 57 or 58. Occupants have a shared walk-in closet. Occupants share 1 walk-in closet, a 3-piece bath, and kitchen.